We felt that the TRC Talk website was the best resource out there for those looking to gain a deeper understanding of the TRC recommendations and their potential impacts – so we have posted the full text, all 94 recommendations explanations, and further reading notes below. TRCtalk.ca is a collaborative project undertaken by students of Dr. Cynthia Alexander at Acadia University, inspired by and based on the work of artist, director and activist John Houston. It is necessary for the government, at every level, to ensure a reduction in the number of Aboriginal children in care programs by fully investigating abuse allegations. In order to ensure that there are appropriate resources available for Aboriginal families to stay together whenever it may be safe, and to make sure that Aboriginal children have access to a culturally suitable environment whenever possible. Also, by verifying that social workers, in addition to government workers, are properly trained and briefed on the history and lasting impact of residential school it makes sure that social workers, in addition to government workers, are properly trained and aware of the multiple options for Aboriginal family healing. It also emphasizes ensuring that all child-welfare workers are aware of the impact of residential school experiences on children as well as their families and caregivers. The government, at every level, needs to publish an annual report which identifies the amount of Aboriginal children in care, versus non-aboriginal children in care. The reason for care, in addition to the amount of funds given to preventative care, must also be identified. All levels of government must implement Jordan’s Principle, a policy which is used to resolve jurisdictional disputes within governments over the required funds for government services provided to Aboriginal children. This is the site of the Canadian Child Welfare Research Portal which provides the various qualitative and quantitative research on the issues addressed in Jordan’s Principle which was created in result of the loss of a child named Jordan’s life in the jurisdictional conflict of Aboriginal youth policy. Verify that governments at all levels ratify legislation which ensures a particular set standard for the care of Aboriginal children, and that this legislation involves an understanding regarding the circumstances in which Aboriginal children may be apprehended, as well as for custody cases. The legislation would allow Aboriginal governments to have jurisdiction over their own child-welfare institutions. 5. Call to action number five calls on all levels of government in Canada to develop parenting programs for Aboriginal families that respect cultural differences. This issue is particularly important because a significant portion of Aboriginal parents either cannot afford care for their child or cannot bring their child to work. To implement a solution would not require very much funding and would ensure that Aboriginal children have a respect and admiration for their own culture. 6. Call to action number six calls upon the government of Canada to remove section 43 of the criminal code of Canada as it allows parents and teachers to use “reasonable force” against a child in order to correct behaviour. This is a concern because it offers a defence to parents or teachers who physically abuse children in their care. The implementation of this would be a simple as revising section 43 of the criminal code of Canada, which is something that many believe to be outdated as it stands today. 7. Call to action number seven calls for all levels of government in Canada to do their utmost to reduce employment and education gaps between Aboriginals and non-aboriginals. Aboriginals and non-aboriginals have historically experienced an enormous gap in income, education, incarceration rates and many other socio-economic areas. The implementation of this particular call to action would more than likely result in these gaps being decreased if not entirely eliminated. 8. Call to action number eight calls for the federal government to eliminate the gap in funding for aboriginals children’s education. Eliminating this gap would result in a better education for aboriginal children which would allow them to pursue post-secondary education ultimately resulting in better opportunities for them as adults. First Nations children under 6 years of age living off reserve are more than twice as likely to live in low income families as compared to other Canadians. We call upon the federal government to prepare and publish annual reports comparing funding for the education of First Nations children on and off reserves, as well as educational and income attainments of Aboriginal peoples in Canada compared with non- Aboriginal people. 9. 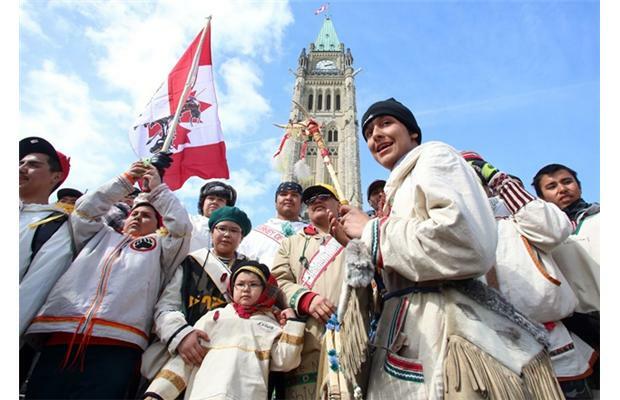 Call to action number nine calls on the Federal government to create reports annually on the education funding received for Aboriginal children as well as educational and income comparisons between Aboriginals and non-aboriginals. This call to action would ensure that calls to action numbers seven and eight could be implemented smoothly given that there is a lack of data on the various gaps in income and education between aboriginals and non- aboriginals. There is limited access to quality education at all levels in Aboriginal communities, especially in the North and in rural areas, and education is underfunded at all levels for Aboriginal youth. Over the past 15 years, there has been no measurable improvement in high school completion rates: 41% of First Nations youth living off-reserve do not complete high school, while 58% of First Nations youth living on-reserve do not. 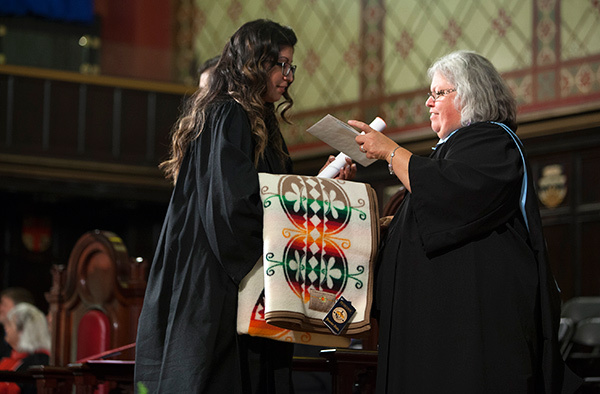 Only 6% of Canada’s Aboriginal population holds a university degree, relative to over 22% of Canadians overall. Aboriginal Canadians are, however, Canada’s youngest and fastest-growing population, but despite this generation of youth being the first generation not to have experienced residential schools, there may be a lingering sense of distrust towards education within their families. This Call to Action aims to include Aboriginal communities in developing solutions for these problems, including increasing education funding and ensuring that curricula meet the needs of Aboriginal youth. The department formerly known as INAC (now Aboriginal Affairs and Northern Development Canada) underfunds First Nations post-secondary students. In 2010, the annual budget was set at $400 million for 27,000 First Nations post-secondary students, but the number of applicants far exceeds that, and in the preceding year more than 5,000 eligible students were denied funding outright. This Call to Action urges the Government of Canada to ensure that adequate funding is available for qualified First Nations students who wish to continue their education. The availability of post-secondary education is essential to enabling Aboriginal youth to maximize their participation in Canada’s economy. More than 50 Aboriginal languages are currently spoken across the country. Canada is a country of many languages. For many First Nations, Métis, and Inuit peoples, language is an expression of their nationhood and identity. Language is not only a way of communication; it is a way of life. Stories are taught to young people to teach values, spiritual and traditional beliefs from generation to generation. Without these languages none of this can be done. Courses teaching Aboriginal languages should be offered at universities and colleges across Canada. This would create opportunities for students to learn Aboriginal languages to keep these languages active. Also history courses with teachings about residential schools should be taught at every education level to make young Canadians aware of our history that is often ignored and left out. iii.The federal government has a responsibility to provide sufficient funds for Aboriginal-language revitalization and preservation. vi. The preservation, revitalization, and strengthening of Aboriginal languages and cultures are best managed by Aboriginal people and communities. 14. To preserve Aboriginal languages which is reinforced by treaties. The Government of Canada has a responsibility to fund Aboriginal language recovery and protection. This recovery of Aboriginal language is to be managed by Aboriginal people and communities. 15. Appoint an Aboriginal languages commissioner who will help promote Aboriginal languages and report on the funding that is given for Aboriginal-languages initiatives. Australia has already implemented a masters program in Indigenous Languages. 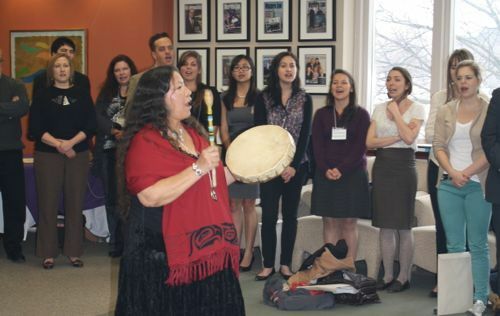 The University of Victoria already offers an Aboriginal Language Revitalization program. There seem to be a number of programs i.e. the Aboriginal Language Initiative funded by the Department of Canadian Heritage to support projects that maintain, revitalize and First Nations languages. 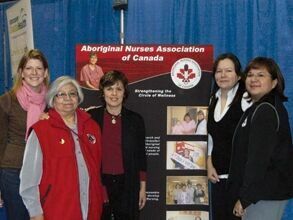 We call upon the federal, provincial, territorial, and Aboriginal governments to acknowledge that the current state of Aboriginal health in Canada is a direct result of previous Canadian government policies, including residential schools, and to recognize and implement the health-care rights of Aboriginal people as identified in international law, constitutional law, and under the Treaties. 18. Understand that the health of Aboriginal peoples is a direct result of previous Canadian government policies, which includes residential schools. Health care rights are to be given to Aboriginal people as identified in international law, constitutional law, and under the Treaties. 19. We call upon the federal government, in consultation with Aboriginal peoples, to establish measurable goals to identify and close the gaps in health outcomes between Aboriginal and non-Aboriginal communities, and to publish annual progress reports and assess long-term trends. Such efforts would focus on indicators such as: infant mortality, maternal health, suicide, mental health, addictions, life expectancy, birth rates, infant and child health issues, chronic diseases, illness and injury incidence, and the availability of appropriate health services. Therefore, the TRC recommends that the federal government take action to address the inequity in the health, and medical care available to aboriginal communities. It is important that the federal government take steps to solve the socio-economic issues that lead to increased risk of disease, such as the poor access to clean drinking water that too many aboriginal peoples suffer from, food insecurity, and lack of education that would aid in preventing disease. The federal government would need to work in consultation with aboriginal communities so that the unique challenges that indigenous peoples face could be met with informed solutions. Aboriginal peoples living in indigenous communities face more health related challenges, and have fewer resources to combat such challenges, than non aboriginal peoples. In aboriginal communities, infant mortality rates are two to four times higher than in non-aboriginal communities. Recognize the specific health needs of Métis, Inuit, and off-reserve Aboriginal peoples. The Federal Government should provided funding for new and existing Aboriginal healing centres in order to address the physical, mental, emotional, and spiritual harms caused by residential schools. 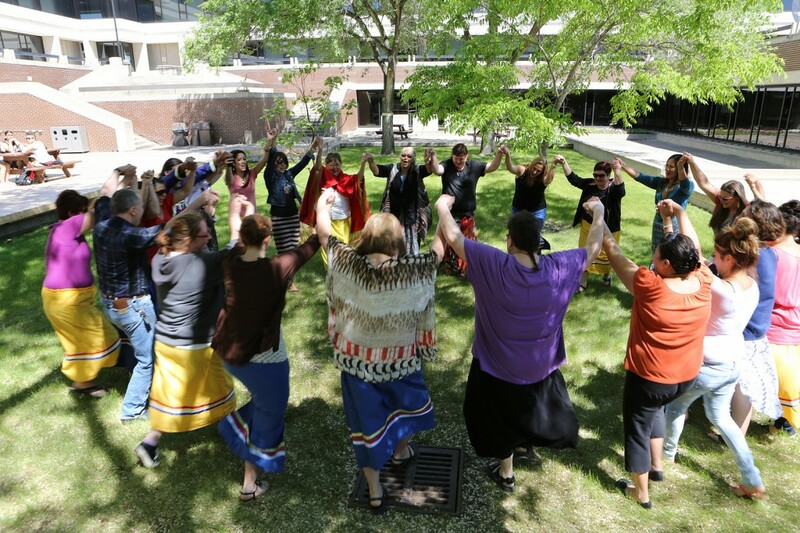 Aboriginal Healing practices should be recognized by the Canadian health-care system. The use of healing practices and treatments should be available to Aboriginal patients when requested and this call to action should occur with including collaboration with Aboriginal healers and Elders. iii. 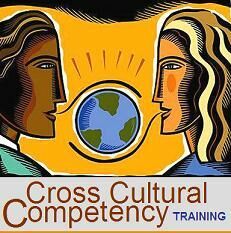 Provide cultural competency training for all health-care professionals. Cultural safety training is a key part of reconciliation. With a greater sense of cultural awareness across the healthcare sector, proper understanding and respect can be giving to indigenous patients. What other aspects of public policy would cultural safety training benefit? Aboriginal-Canadians have a higher risk factor for many diseases, mental health issues and being discriminated against. All of these factors determine the overall health of humans. Medical personnel including doctors, nurses, psychologists, etc. should be required to take a specialized course that help with the understanding of Aboriginal peoples history, including the negative legacy of residential schools and the role of social determinants of health. The development must have Aboriginal input. The government of Canada has not been the greatest to the Aboriginal community. An example of this is when the Labour Standards Act is Nunavut being exempt from the Labour Standards Act. “The Government of Nunavut is exempt from the Labour Standards Act and therefor the Labour Standards Officer cannot receive or investigate the Government Departments” – Bill Riddell. Last time I checked the Inuit people have been here longer than anyone from Europe and should be protected by the Labour Standards Act just like the rest of Canada. It is unfair that the majority of people living in Nunavut are dealing with mistreatment. The Labour Standards Act is meant to protect workers. If Inuit people cannot be protected by this act how are they supposed to work in a healthy and safe environment. The RCMP should investigate to make sure that Inuit people are being treated the same at work as every other Canadian. If Aboriginal people are not able to work in safe environments then it result in poor health issues that can also create difficult social environments. Labour Standard laws not being enforced in Nunavut is another example of colonialism and we need to make sure that it is a practice which is no longer committed. It is important to make sure the Inuit are protected. The Labour Standards act is just one example of how the government has treated the Aboriginal community poorly and this is why the RCMP should investigate. They should find the answer as to why those in Nunavut are not protected under this act. 26. We call upon the federal, provincial, and territorial governments to review and amend their respective statutes of limitations to ensure that they conform to the principle that governments and other entities cannot rely on limitation defences to defend legal actions of historical abuse brought to Aboriginal people. Ensure that federal, provincial and territorial governments are aware that statutes of limitations may not be used as a defence for those who have historically abused as an Aboriginal. Cultural Competency is the idea that if a professional is working in an area that works directly or indirectly with a different culture that the professional will be respectful and knowledgeable about that culture. This recommendation focuses on the importance of lawyers having a well rounded knowledge as they practice law within Canada. Cultural competency training for lawyers is an important step in reconciliation between the legal system of Canada and Aboriginal peoples. It would also teach lawyers to be respectful of cultural differences and be prepared for all factors that could relate to their cases and clients. Lawyers should be as aware and knowledgeable about Aboriginal concerns and culture as they are about any others in Canada. The recommendation address the racism and treatment towards Aboriginal people within the legal system and also addresses the lack of knowledge of those who work in positions which involve cross-cultural relations. Cultural competency training could be implemented in a number of ways. It becoming a part of curriculum at law schools or law firms could provide seminars or training course. This recommendation focuses on the importance of including Aboriginal law within the Canadian legal system. By recommending that it become mandatory for all law students to study Aboriginal people and their law. The recommendation provides specifications for the curriculum and starting points for what courses in this subject could look like. If there is going to be a change in the relationship between Aboriginal and non-Aboriginal peoples in Canada, it will come from younger generations. There is a vast area of knowledge about law and history in our country that is being neglected, if the legal system is to change, become fair for all peoples, then future lawyers should have all the knowledge they can. In short it is not only will it aid in reconciliation but it would also benefit Canada’s justice system. Canada is a diverse country, lawyers practicing in Canada should have a diverse background in their studies of law to reflect that. Furthermore, it would allow aboriginal law and culture to be taken seriously. The point of this recommendation is to allow for reconciliation between the justice system and Aboriginal peoples. Considering that at the moment the majority of those imprisoned or in court are Aboriginal people things would be less unequal and stupid if those within the legal system had a working knowledge of Aboriginal rights, law, treaties, relations and history. There are a number of ways this recommendation could be implemented. It starts as simple as adding Aboriginal law classes into the curriculum – as mandatory courses. Universities could employ professors with knowledge of the laws within that area, have a seminar with different guest who can share the different views of aboriginal law depending on which region they are from, and different learning and skill based workshops in undergraduate studies and in graduate studies. This article written by a professor at UVic discusses what has been done in regards to recommendations 27 and 28 as well as what else can and should be done. Though this article was released a few years before the release of the recommendations, it addresses what UBC has done in making the study of Aboriginal rights and treaties mandatory for their law students. Maybe the article and this case will demonstrate to other law schools and universities in Canada how easy it is to make these studies apart of the curriculum. This blog post, discusses one professor’s syllabus for a course Indigenous Legal Traditions at Lakehead University. This recommendation aims to readdresses through a fair and public inquiry, the abuses faced by former students who were supposed to be compensated fairly by the IRSSA. Private law practitioners exploited their indigenous clients who were at a socioeconomic disadvantage to understand these legal processes, and a more relatable legal team without insidious agendas would prevent that from happening again. This recommendation calls for that justice to finally begin to be served. The Indian Residential Schools Settlement Agreement is the largest class action settlement that has ever occurred in the Canadian legal system; this settlement calls to address the severe cultural, mental, and systematic problems that arose from the existence of residential schools on Canadian soil. 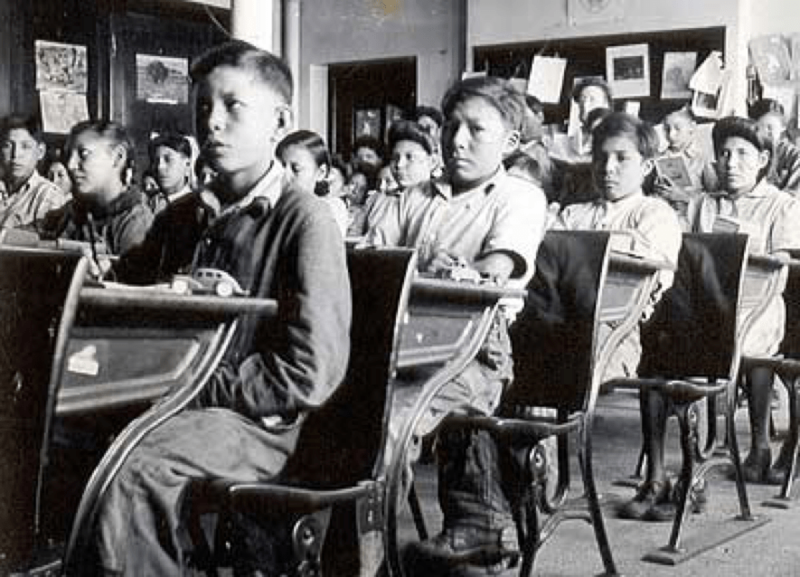 With the implementation of the Indian Act over 100 years ago, the Canadian government began taking children from their homes and communities, and enrolling them in mandatory Catholic or Protestant school systems. The children were essentially held captive; they were banned from practicing their respective religion, speaking their own language, or communicating with their families…all in an effort to destroy Native American culture. This was not the only problem faced by indigenous children, they also endured tremendous psychological, physical, and sexual abuse at the hands of their ‘educators’, actions that still need to be addressed and reprimanded by the Canadian government. Thousands of indigenous peoples would benefit from expeditious parties determining if the IRSSA has biased clauses discrediting the struggles endures by indigenous communities. This recommendation calls into action how legal practitioners and law enforcers alike can work together and be held responsible for treating Aboriginal peoples the same as their white counterparts. This includes opening opportunities to them they have been denied thus far; like providing offenders with equal amounts of time consulting with lawyers, an opportunity to make bail, and challenge incarceration laws that have disrupted racial representation in prisons. As a society that values justice and equality, we must address the systematic racism ingrained in legal procedures and ensure these goals are met. The overrepresentation of Aboriginal peoples in federal/provincial prisons under custody, in Manitoba alone where indigenous peoples make up only about a tenth of the population…over half of the prisoner population is made up of peoples with native heritage. This is thought to be due to a mutually influential cycle of Aboriginals growing up under intense social discrimination making them more likely to commit crimes and act out, as well as an inherently discriminatory legal justice system. In a society protected under Canadian federal law that seeks to unite populations of Canada, it is inherently discriminatory to ignore the respective cultural and social problems faced by Aboriginal peoples. As the oppression endured by indigenous peoples has caused a predisposition for them to commit and be charged with breaking the law, it is only suitable that the federal government and indigenous populations assimilate to aid this significant problem of inequality. 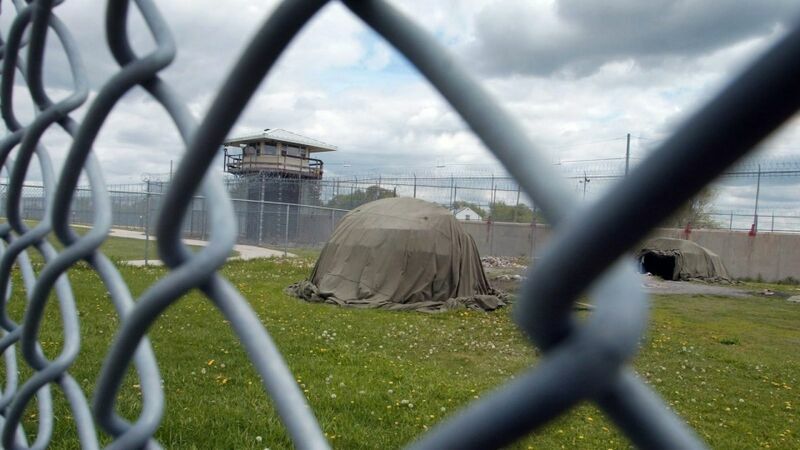 Prison populations in regions of Canada represent a disturbing amount of bias in our federal and provincial legal systems, yet imprisonment as a whole is a redundant process for ensuring justice. The reliance of Canada’s legal justice on imprisonment coupled with native populations social susceptibility to minor crimes has contributed to the one of the most ethnically imbalanced. Factors such as parental background, educational opportunities, and socioeconomic status are all influential in shaping a potentially incarcerated criminal, but one element has also unfortunately arisen: ethnicity. Aboriginal offenders are more likely to be imprisoned for minor crimes and do more time than their white counterparts, and this system of release and arrest is clearly ineffective for such a differing culture than that of mainstream Canada. The Constitution Act of Canada outlined that aboriginal-specific needs to accommodate for the racism emitted by judicial law, whereas aboriginal organizations themselves organized alternatives to imprisonment or fines. Many of these processes focus on reintegrating traditional native philosophies to deal with current problems, and offers a community focused base for which offenders to build off of and become engaged and law abiding citizens. Sacred Circles, Cultural Skills, and Sweat Lodge ceremonies have been vital to indigenous populations since before they faced colonization, so their communities must be granted the right to continue healing themselves with ceremonies that are much more constructive, spiritual, and humane. The Conservative government of Canada has proven again and again its insensitivity towards minority groups and their respective needs, before being replaced by the Liberals, their tough-on-crime mentality brought up the minimum sentencing for many crimes. Particularly for minor crimes or incidents that may conflict with the traditional values of indigenous populations, the use of mandatory sentencing as an aid for society is extremely redundant. Judges that are imposed with minimum sentencing restrictions will not be able to address the factors leading to the case in their court to make a sound decision, further disenfranchising already struggling communities with solid legal barriers. 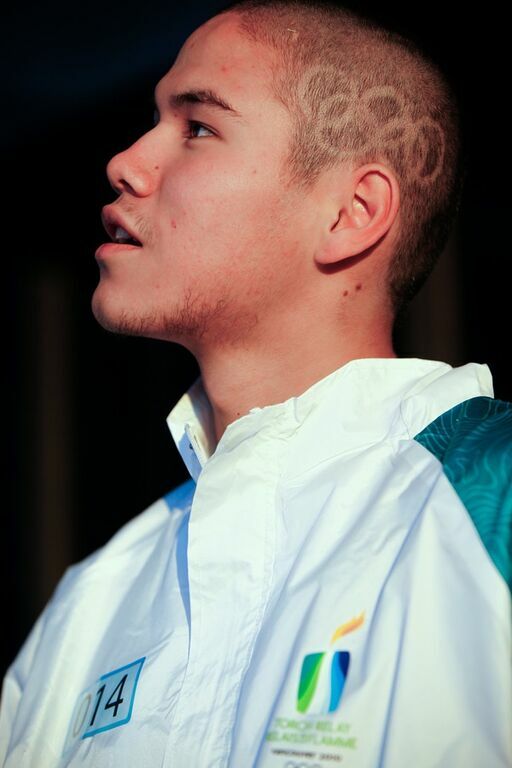 Due to the influence of discrimination and disenfranchisement causing indigenous youth to become more susceptible to criminal behavior, the over-representation of indigenous peoples in Canadian prison systems will worsen. Furthermore, this takes away from their cultures autonomy to determine the suitable punishment for crimes, and take away opportunities for growth that include community-oriented interventions such as Healing Circles or Cultural Skills. Vulnerable populations should be helped, rather than hindered, by this country’s judicial processes and the judges doing so must be able to exercise their own logic in determining sentencing. One big reason this is a problem in Aboriginal communities is because of “colonialism” –John Houston. Colonialism has cast long last effects on the Aboriginal communities such as bad drinking water, over crowded housing and just poor living conditions. These all contributed to FASD. Recommendation 33 can be related to recommendation 35 and the need for healing centers in Aboriginal communities (especially the north). If Aboriginal people are drinking alcohol it is hard for them to find help. In link below you will see how all it takes for a person to get help is to talk to one person. If we create awareness on this issue it might be easier for Aboriginal to talk about their addiction and get help. If the government were to create programs that involved going on the land this could help FASD. Getting people on the land with an elder can help someone with an alcohol addiction. If more healing centers with elders working in them were available to Aboriginal people and so they had someone to talk to we would see a decrease in FASD. Nature is so important for the healing process. If an Aboriginal person was arrested for public intoxication instead of throwing them in the drunk tank and giving them a fine every time. Another solution would be to set them up with an elder who can bring them on a nature experience which has been proven to help heal. For some people it is hard to see that they have an addiction and they might be scared to talk. If the government can bring awareness and build healing centers it might be easier for people talk about their problems and reduce FASD problems. Increasing community resources and powers for courts to ensure that FASD is properly diagnosed and that proper support systems are in place for individuals with FASD. Establish situational exceptions from mandatory minimum sentences for offenders affected by FASD. To maximize the ability of people with FASD to live in the community by providing community, correctional and parole resources. To adopt evolution methods to continuously ensure the effectiveness of such programs and ensure community safety. With healing centers closer to aboriginal homes (especially in the north) this will help the healing process be a lot more effective. The relations Aboriginal people have with each other is so important and they always want to help each other through bad times. With healing centers being closer to Aboriginal communities this would allow for other Aboriginal people from the community to help whoever is in the healing center heal. With Aboriginal people being in prisons far away from their home they will have a hard time being supported from their friends and family during their tough time. There are other ways to help heal people and one story I heard of an Aboriginal leader taking some kids who got in trouble out on an island and they lived off the land for a week or two and this was huge when it came to healing. As John Borrows talks about the relationship with nature is so important to Aboriginal People that you can heal people by having relationships with nature and using those relationship to improve. In the link below you can also see how important elders are in the healing process such as traditional drumming. Aboriginal Inmates can heal better by being around their elders. However this is hard to do when the institutions are far away from their community. The residential schools have caused lasting effects and has created bad social environments. The abuse from these schools has caused Aboriginal youth to be deviant too. Just because a youth has become deviant does not mean they are bad. It is because of the residential schools this has caused generations of Aboriginal people to lose their culture. Aboriginal adults represent about 3 percent of the Canadian population yet about 34 percent of females in prison are Aboriginal women and about 22 percent of men in prison are Aboriginal. One way to cut down on youth and adults from going to prison is a sentencing circle or heeling circle. Instead of throwing a youth in prison because he or she threw a rock at someone’s window put them in a sentencing circle which will include everyone from elders, police, victim parties and accused parties. A sentencing circle will resolve the problem by an agreement between the victim and accused. In this case of the rock being thrown at a window the accused could maybe work for the elder. What this does is it keeps the accused from getting a criminal record but at the same still solves the issue in a successful way. We ask the government to gather statistics and information to show the criminal victimization of Aboriginal peoples. 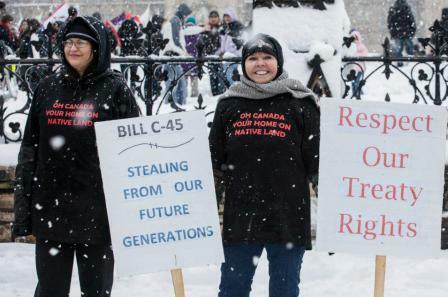 -A study showed that from 1980 to 2012, more than 1,000 Canadian aboriginal women were murdered, according to the RCMP. Aboriginal women make up 16% of female murder victims, and 12 per cent of missing women. Despite these percentages, aboriginal peoples combined, only make up 4 per cent of the Canadian population. – Aboriginals make up more than 23 per cent of the inmates in Canada’s federal prisons. – The novel “Birdie” by Tracy Lindberg is a great example of how Aboriginal people are treated by the government, and what lengths they go to in order improve quality of life. – This recommendation is key in improving the mistreatment of aboriginal peoples in Canadian society, as well as future regulation of their gross over-representation in jail. – Data collection on these subject would help push the government towards action by showing them aboriginal peoples current experiences in Canadian society specifically emphasizing crime and mistreatment. Publishing this data and making it more widely accessible would in hope, force action related to improvement of family violence and victimization. 40. We call on all levels of government, in collaboration with Aboriginal people, to create adequately funded and accessible Aboriginal – specific victim programs and services with appropriate evaluation mechanisms. This recommendation focuses on Aboriginal people as regular victims within the Canadian legal system and larger society. The recommendation calls for more victim specific programs and services to be properly funded and available to Canada’s Aboriginal people. In terms of reconciliation, this is key to rebuild the relationship between Aboriginal people and the Canadian government. These programs and service will rebuild a trust and good working conditions to make these programs effective. Key in making these programs and services effective is availability within Aboriginal communities. The point of this recommendation is to draw attention to the staggering inequalities present within the legal systems of Canada. This recommendation addresses the startling treatment of Aboriginal women and girls in Canada. And is about the federal government of Canada working together with Aboriginal communities and organizations in dealing with a serious national problem. 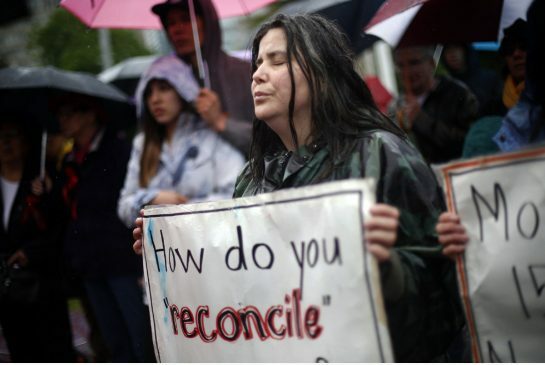 The numbers of missing and murdered Aboriginal women and girls in Canada are horrifying. This recommendation is important because it draws attention to how Aboriginal peoples, specifically women have been treated and ignored in this country. Get the government to launch an investigation. Set up campaigns online and within schools and universities. Find a way to get proper media coverage. Write a report or set up a website or area for studies to be conducted about intergenerational effects of residential schools. Is something finally going to be done? We ask that Aboriginal rights and legal practices be immediately implemented in the Canadian Code of Law such as British Common Law and French Civil Law is. -Aboriginal law more than spiritual beliefs or traditions. 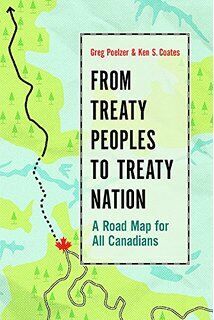 It is a group of legal doctrines based upon such defining Canadian documents such as the Royal Proclamation Act of 1763 which granted special land rights for aboriginal peoples. -It is also based upon Canada’s founding document, the Constitution Act of 1867 which essentially created the Indian Act, a treaty that directly influences how the federal government interacts with aboriginals. -Arguably the most important part of this discussion is the amendment to the Constitution Act in 1982 which recognized aboriginal treaty and land rights. -John Borrows argues in his book, Canada’s Indigenous Constitution that Canada has the ability to incorporate Aboriginal legal practices because of its ability to cooperate between Common and Civil Law for hundreds of years. -He also argues that constitutional entrenchment of treaties through the Constitution Act of 1982 similarly entrenches the legal traditions informing these agreements. -This recommendation is being included because aboriginal peoples have various diverse and sophisticated legal practices all across Canada that are not represented in Canada’s legal system. -This recommendation is important because when the French settlers first interacted with the indigenous peoples in the 17th century, they were very accommodating of indigenous legal traditions. As time has gone on we have taken steps backwards in tolerance, and need to return to respecting their traditions and practices. -With the way legal education is allocating more focus towards aboriginal law, this recommendation should have no problem being implemented into the Canadian Legal System, it is only a matter of time. The Declaration addresses matters of cultural preservation, racism, sovereignty, health, and other aspects of challenges that indigenous peoples face in the hopes of creating better relationships between native populations and the state. Canada has been unique in its unwillingness to adopt the declaration, and the past government’s reasoning for this was that it could not support the section that asserted states must seek “free, prior and informed consent” from indigenous peoples before taking action that would infringe upon treaty rights. The TRC recommends that Canada implement the United Nations Declaration on the Rights of Indigenous Peoples so to solidify Canada’s commitment to reconciliation. The government needs to create plans and strategies to deal with victimization of aboriginal people, and implement their rights such as the United Nations has declared. -Referring back to recommendation #39, the proof is there to show that the government definitely needs to increase their planning to deal with the victimization of aboriginal peoples. -The decision by the UN is important because it shows that not only Canada is concerned with aboriginal peoples rights, but in fact this is an international initiative. -The inclusions of the UN in this situation is key because many countries in the world have indigenous populations, and the fact that the UN stepped in for Canada means that they may step in for other countries as well. -An interesting note is that only 4 countries voted against the UN’s declaration of 2007, those countries were the ones with the most prominent aboriginal populations. These countries were Canada, United States, New Zealand, and Australia. What does this say about these countries when their own governments vote against a document that calls for more rights for their aboriginal peoples? v. Reconcile Aboriginal and Crown constitutional and legal orders to ensure that Aboriginal peoples are full partners in Confederation, including the recognition and integration of Indigenous laws and legal traditions in negotiation and implementation processes involving Treaties, land claims, and other constructive agreements. It is clear, in the history of residential schools and other injustices, that Canada has forgotten the core values of these promises. This proclamation would re-establish a nation to nation relationship, meaning that indigenous peoples and the Crown would be understood as the two nations of the land and would each have rights to self governance. Recognizing this nation to nation relationship also means recognizing that indigenous peoples were already living on Turtle Island when Europeans settled there, and this conflicts with the Doctrine of Discovery and the idea of terra nulls: concepts that assert the land was uncolonized when Europeans arrived. This proclamation would work in combination with the UN Declaration on the Rights of Indigenous Peoples to re-enforce treaties, re-establish a nation to nation relationship, and finally recognize the role that indigenous peoples play in confederation and that their traditional methods of negotiation deserve a place in settling land disputes. To renounce and discredit all concepts used to justify European Sovereignty over Indigenous lands and peoples, such as the Doctrine of Discover and terra nullius, and to reform laws, government structures and policies within their institutions that continue to rely on such concepts. Adopt and implement the United Nations Declaration on the Rights of Indigenous Peoples as the framework for reconciliation. Support the reestablishment of Treaty relationships based on mutual recognition, respect and a shared responsibility for maintaining these relationships in the future. With rights violations in Canada like no access to clean drinking water or proper housing, adopting the UNDRIP would require immediate attention to these issues. Canada Was Never Terra Nullius International Law Doctrine, Practice and Theory. 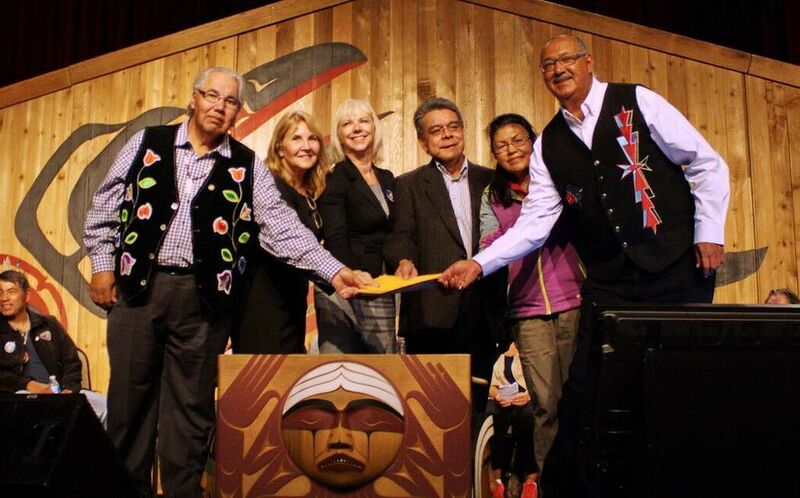 Candian Residential Schools Settlement Agreement Legacy of Hope Foundation. 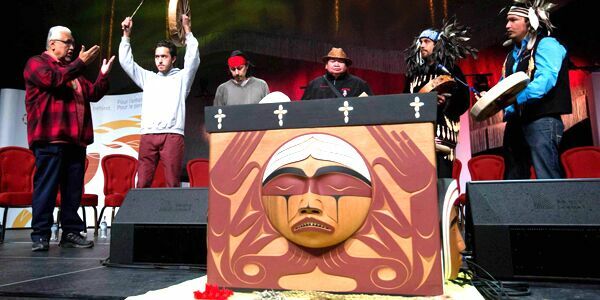 The Truth and Reconciliation Commission calls upon federal, provincial, territorial, and municipal governments to renounce and discredit legal doctrines and concepts that reinforce European sovereignty over indigenous peoples and lands. Doctrines like the Doctrine of Discovery are rooted in colonial concepts like terra nullius, which claimed sovereignty over aboriginal lands. Canada’s Royal Commission on Aboriginal Peoples also has recommended that the government recognize the Doctrine of Discovery to be “legally, morally and factually wrong.” Will denouncing these terms help end the era of neo-colonialism and segregation? Aboriginal and Treaty Rights, The Justice System and Aboriginal People, The Aboriginal justice Implementation Commission. 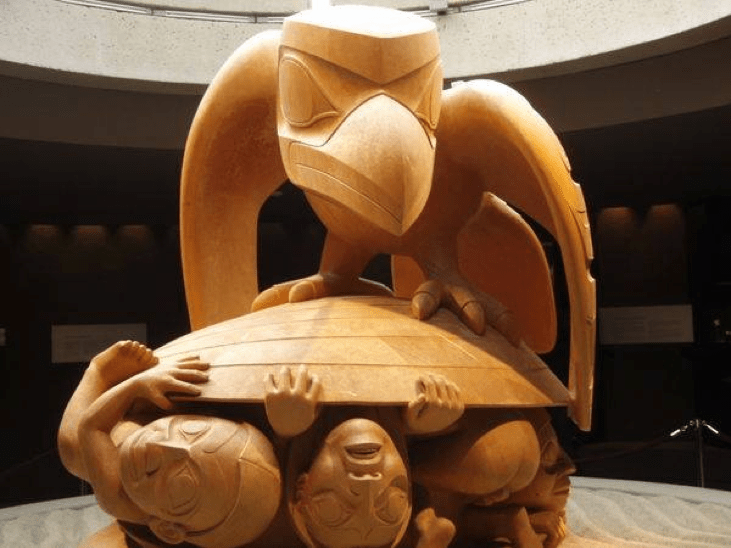 Aboriginal Rights, Indigenous Foundations, UBC. Doctrine of Discovery, Digital Wampum. Ensuring that their institutions, policies, programs, and practices comply with the United Nations Declaration on the Rights of Indigenous Peoples. Respecting Indigenous peoples’ right to self- determination in spiritual matters, including the right to practise, develop, and teach their own spiritual and religious traditions, customs, and ceremonies, consistent with Article 12:1 of the United Nations Declaration on the Rights of Indigenous Peoples. Engaging in ongoing public dialogue and actions to support the United Nations Declaration on the Rights of Indigenous Peoples. Issuing a statement no later than March 31, 2016, from all religious denominations and faith groups, as to how they will implement the United Nations Declaration on the Rights of Indigenous Peoples. 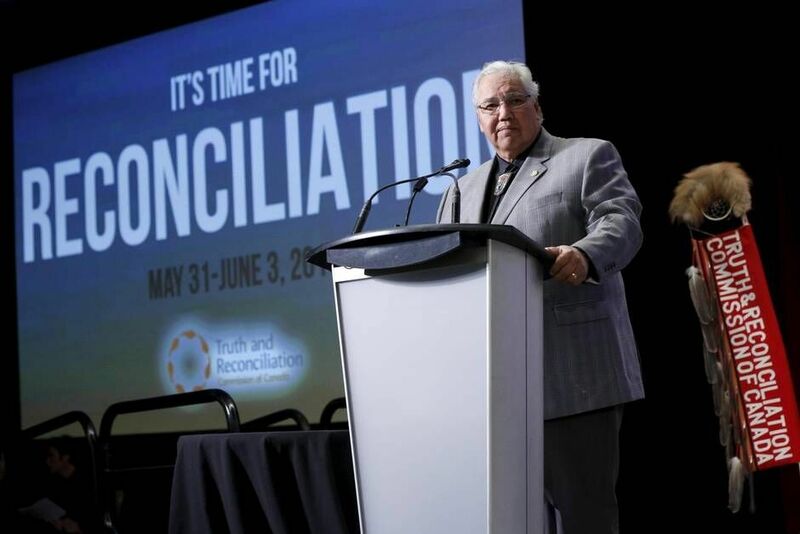 The Truth and Reconciliation Commission calls upon, church parties to the Settlement Agreement and all other faith groups and interfaith social justice groups to adopt the United Declaration on the Rights of Indigenous Peoples (UNDRIP). Establishing that all aspects of their institutions, policies, programs and practices comply with the UNDRIP. 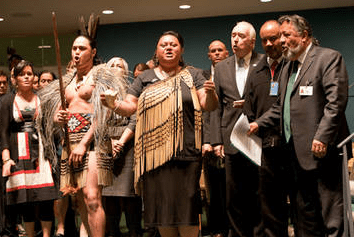 Respect Indigenous Peoples’ right to self-determination in spiritual matters. This would include the right to practice, develop and teach their own spiritual and religious traditions, customs and ceremonies. Consistent with article 12:1 of the UNDRIP. i. To be active in public dialogue and actions to support the UNDRIP. ii. 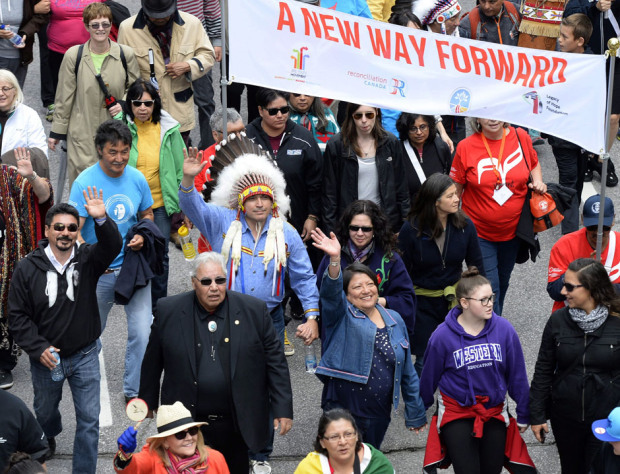 Issuing a statement by March 31st, 2016, on behalf of all religious and faith groups, on a plan for action they plan to take to implement the UNDRIP. 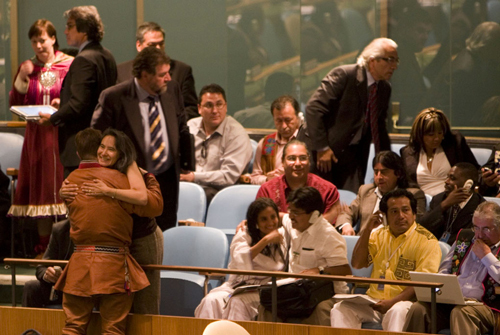 Did you know that the UNDRIP was adopted by 144 countries, while only four countries voted against the declaration. Canada was one of these four countries and has not yet since fully adopted the declaration yet. UN Declaration on the Rights of Indigenous Peoples, Indigenous Foundations, UBC. Implementing the UNDRIP,Assembly of First Nations, AFN. 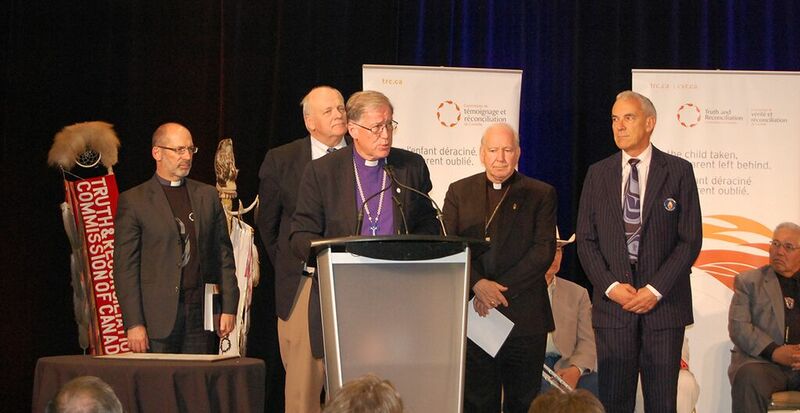 Response of the Churches to the Truth and Reconciliation Commission of Canada. Anglican Church of Canada. 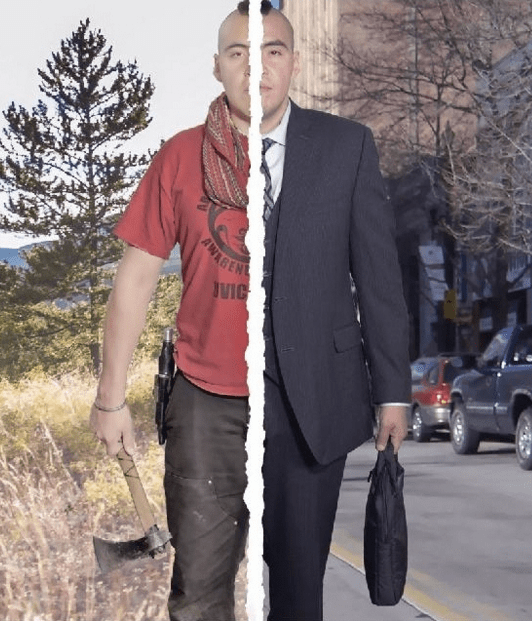 First Nations’ Rights: The Gap Between Law and Practice, Lawyers’ Rights Watch Canada. In a few words: Fund Indigenous law institutes! Recognize that Canada has more than one legal system! Canada already recognizes both common law and civil law; Canada needs to recognize indigenous law too. When it comes to funding Indigenous law institutes, this means funding programs such as legal support networks for Indigenous peoples within the court system. Some of these programs allow Indigenous people who have been accused of a crime to receive sentencing in traditional healing circles, rather than in the court. This also of course means developing our understanding of indigenous law, which is most obviously done within universities. Law schools in Canada need to continue to make greater strides in teaching Indigenous law to their students! Native Law, University of Saskatchewan. Government transparency in regard to Aboriginal and Treaty rights! In many court cases, the courts have outlined that the Crown (the Government) has a fiduciary duty towards Indigenous peoples. This means that the Government must not only act in good faith with Indigenous peoples, but must also act as “trustee” of sorts for Indigenous peoples, and must always equally consider the best interests of Indigenous peoples along with Crown interests. When it comes to how the Government acts in regards to Treaty rights, all this recommendation is really saying is that the Government should be upfront and open about how it will respect the rights of Indigenous peoples. Moving Backwards: Does the Lack of Duty to Consult Create the Right to Infringe Aboriginal and Treaty Rights?, Shin Imai, York University. 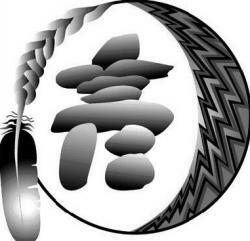 Alberta oilsands facing aboriginal legal onslaught in 2014, CBC News. ii.Once Aboriginal title has been established, the burden of proving any limitation on any rights arising from the existence of that title shifts to the party asserting such a limitation. Aboriginal Title, Defenders of the Land. Aboriginal Title Common Law, Wikipedia. What this means: We want the government to acknowledge that there are issues that still require reconciliation and in order to ensure that this requirement is fulfilled, a National Council must be established. This will ensure that the public and the people will have a transparent view on the process and therefore, be assured that proper action is carried out. Atoning for ‘cultural genocide’: Truth and Reconciliation Commission lays out its blueprint, Mark Kennedy, National Post. Once the National Council for Reconciliation has been established, we want the government to provide adequate funding to carry out the specifics of the process of reconciliation. Thus ensuring that policies will not remain just policies and this funding will ensure the guarantee of action and enable the opportunity to do so. Residential Schools was Cultural Genocide, Anglican Journal. Essentially, the TRC recommends that all levels of government provide annual reports or current date that is requested by the National Council for Reconciliation directly tied to the goal of reconciliation. These reports and current data would directly relate to current issues like the number of Aboriginal children in care, funding for the education of First Nations children both on and off reserves, educational and income attainments Aboriginal peoples in comparison to non-Aboriginal peoples, the over-representation of Aboriginal peoples in the criminal justice system and more. The case of wrongfully convicted Donald Marshall who was one of the many Aboriginal peoples victim of the racial prejudice by the Canadian criminal justice system. Marshall was convicted of murder, at 17, and imprisoned for 11 years for a crime he didn’t commit. By the time he was finally released on parole in 1982, he was forever damaged by a miscarriage of justice and years of detention. The TRC calls on the current Prime Minister of Canada (Prime Minister Justin Trudeau), to formally respond to the report that the National Council for Reconciliation will create, by issuing an annual “State of Aboriginal Peoples” report—outlining how the government plans on achieving the end goal of reconciliation. 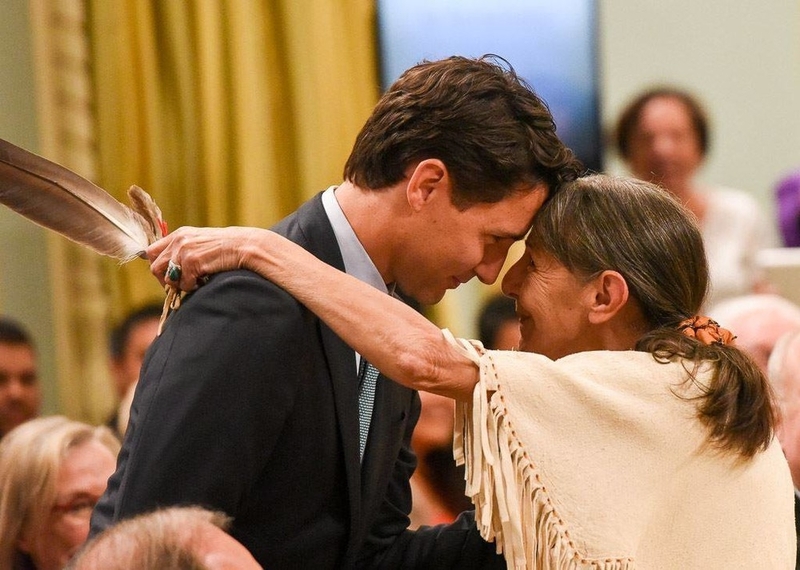 An analysis of the question: “Can Trudeau deliver on his First Nations promises?” Trudeau has committed to a National Inquiry on missing and murdered indigenous women and girls, a promise to a return of nation-to-nation relationships between Indigenous peoples, an end to interventionist policies and the Department of Aboriginal Affairs, and the principle of informed consent reinforced in policy reform. The article addresses the ambitious platform of the new leader of Canada, and poses a note of caution towards his going forward with his commitments. 57. We call upon federal, provincial, territorial, and municipal governments to provide education to public servants on the history of Aboriginal peoples, including the history and legacy of residential schools, the United Nations Declaration on the Rights of Indigenous Peoples, Treaties and Aboriginal rights, Indigenous law, and Aboriginal–Crown relations. This will require skills- based training in intercultural competency, conflict resolution, human rights, and anti-racism. 57. We call upon federal, provincial, territorial, and municipal governments to provide education to public servants on the history of Aboriginal peoples, including the history and legacy of residential schools, the United Nations Declaration on the Rights of Indigenous Peoples, Treaties and Aboriginal rights, Indigenous law, and Aboriginal–Crown relations. This will require skills based training in intercultural competency, conflict resolution, human rights, and anti-racism. 58. First Nations, Inuit and Metis children endured violence and abuse of all sorts in residential schools, much of it at the hands of the Catholic Church. The abuse that these poor children suffered has led to many problems, not only for the individuals who went to the residential schools, but also their families and communities. In Ireland, the Catholic Church was also found to be at fault for more abuse: six Irish priests were convicted on charges of sexual abuse of children between the years of 1975 and 2011. In the case of Ireland, the Pope issued a letter of apology to the victims. There is no reason that the same should not be done in Canada. The suffering endured by Canada’s aboriginal people be recognized and addressed by the Catholic Church. A formal apology needs to be given. What makes residential school survivors any different from the Irish victims? What does this mean in simple English? In a religiously pluralistic country such as Canada, it is crucially important for people of different faiths to understand each other. Even if we do not all agree, we need to understand each other’s differences, and find our common ground. Indirectly, this recommendation calls all faiths to better understand each other. More specifically, this recommendation especially calls to action Christian groups, and even more specifically churches that were involved in the residential schools system. 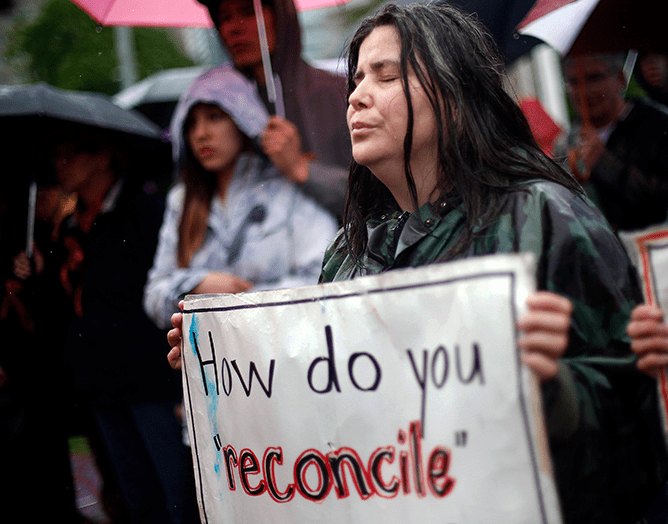 If there is to be full reconciliation for the survivors of residential schools, church groups need to not only apologize and make amends, but also ensure the same sort of the thing never happens again. In part, as this recommendation states, this means educating future religious leaders in the differences of Indigenous culture. From a policy perspective, this is a very difficult recommendation to universally implement, as there is no central authority to implement change in religious education. Rather, it is up to each individual religious group to play its own part in working towards reconciliation through cultural education. Given that this recommendation comes with a lot of financial cost attached, this recommendation might at first seem a little demanding towards religious groups. One might ask why it should be religious groups, and not the government who funds these programs. Is it unreasonable that churches should pay for these healing programs? Based on the fact many churches spent significant amounts of money administering residential schools—programs which severely damaged many Indigenous individuals—it is not unreasonable to think it would be right for churches to provide money to work towards healing for individuals and communities affected by residential schools. Again, from a policy perspective, a response such as this will be very hard to implement across the board, but will be the responsibility of each individual religious group. Individual people can help make a difference, if applicable, by calling upon their own individual religious groups to pay attention to this recommendation. In order for indigenous and non-indigenous peoples to coexist peacefully, a relationship must be built on understanding and respect. The TRC recommends that Canada indigenize public school curricula in order to educate students on the culture of indigenous peoples, and the history of residential schools – thereby explaining a key reason why reconciliation is important. Incorporating indigenous knowledge in education is not only useful in building stronger intercultural relationships, and making the classroom more inviting to aboriginal students, it is also provides alternative ways of teaching many concepts to children especially when it comes to topics related to the environment. Some schools that incorporated indigenous learning into their curricula had lessons where students went on nature hikes, and learned how to grow traditional plants (http://thetyee.ca/News/2012/09/10/BC-Aboriginal-Education/). Indigenizing education does not simply mean adding a chapter about residential schools to the textbook; it means including an indigenous perspective in schools that would involve getting lessons from elders, taking nature walks to understand science, studying indigenous language, and ultimately learning what it means to coexist in a just and peaceful way. Related reading-2: BC’s public educational broadcaster celebrates thirteen BC First Nations languages and a drive to preserve them for future generations. This TRC call to action asks for the commitment of the Council of Ministers of Education in Canada to maintain a commitment to Aboriginal education issues; from creating and applying the use of K-12 curriculum and learning resources on Aboriginal peoples Canadian history, including the tragic history of residential schools. To developing an intercultural understanding, and identifying appropriate teacher-training needs to address these issues. The Website for the Council of Ministers of Education in Canada in its Programs and Initiatives section detailing the current programs and initiatives. It also presents four overarching goals for education in Canada, ministers have identified key activity areas on which they will focus collaboratively through CMEC. Click below for more information. 64 . We call upon all levels of government that provide public funds to denominational schools to require such schools to provide an education on comparative religious studies, which must include a segment on Aboriginal spiritual beliefs and practices developed in collaboration with Aboriginal Elders.All schools should educate their students about Canadian Aboriginal Spiritual Beliefs and practices apart of their curriculum to demonstrate their support but also acknowledgement of the many different cultures found within the country. 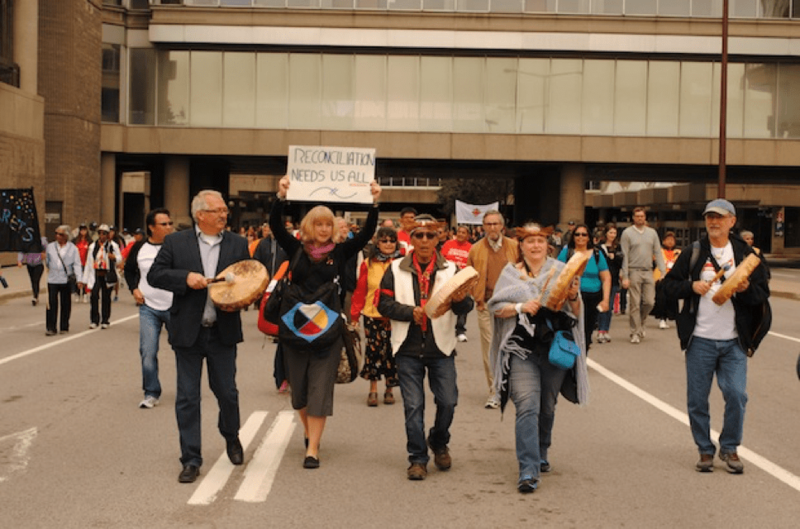 Reconciliation has proven to be a challenge throughout Canadian history. One reason why there has been little little progress towards building a harmonious and respectful society is because of the lack of awareness of the honest realities of Indigenous and colonial histories. A research program is essential for successful reconciliation in order to advance wide spread understandings, access necessary information and raise awareness of the issue. What can we do to make “our best” better, and understand the importance of reconciliation? Involving post-secondary institutions in a research program of this nature would get more youth involved and informed of the subject of reconciliation. Educated youth are vital reconciliation because they are the future. A research program would also give those involved opportunities to work closely with Indigenous peoples and build meaningful relationships. It is important that we accomplish this goal in order to ensure our future generations have the knowledge to foster reconciliation. How would Canada look today if past generations were involved in a this program? One of the most necessary ways we can create a better future for aboriginals is by providing supportive education and organizations.The implementation of aboriginal support groups and national networks will address this need through educate youth in aboriginal affairs and connect people all over the country. Within Canada 30% of off-reserve aboriginals fail out of high school, 58% of on-reserve fail out, and a total of 70% fail out in the province of Manitoba. These numbers are staggering especially when comparison to the 10% drop-out rate of non-aboriginal Canadians. Another factor to consider is that the employment rate of First Nations without a high school education is just 25%, with a median annual income of just $12,000. For this recommendation to truly succeed, Canada needs to do a better job in the public education sector by creating a more successful and motivating environment for First Nations students; to make them want to succeed and break away from age old trends. 67. We call upon the federal government to provide full funding to the Canadian Museums Association to undertake, in collaboration with Aboriginal peoples, a national review of museum policies and best practices to determine the level of compliance with the United NationsDeclaration on the Rights of Indigenous Peoples and to make recommendations. A national review of museum policies carried out in collaboration between the Canadian Museums Association and Aboriginal peoples would in hope, address and solve aboriginal concerns surrounding museums and their portrayal of Aboriginal history and culture. In the past, policies and practices of numerous Canadian museums have failed to portray an accurate representation of Aboriginal history. In 1989, the Task Force on Museums and First peoples was established. This was an initiative between the Canadian Museum Association and the Assembly of First peoples and it was created for similar purposes as this recommendation calls for a review of museum policies and practices. The policies and practices of Canadian museums need to be compliant with the United Nations Declaration on the Rights of Indigenous Peoples, including things like accurate historical portrayal. The dilemma that has occurred frequently throughout the course of aboriginal representation in museum institutions has been the effect that aboriginal culture remains “frozen in time”. One of the articles of the Unites Nations Declaration on the Rights of Indigenous Peoples is the right to “develop the past, present and future manifestations of their culture”, meaning the lack of contemporary representation in museums is going aboriginal culture a disservice by creating the perceived illusion their culture is isolated in the past. Collaboration with aboriginal peoples as part of this nation review will hopefully created a renewed sense of contemporary aboriginal culture and improve ways of modern representation. 68. We all upon the federal government, in collaboration with Aboriginal peoples, and the Canadian Museums Association to mark the 150th anniversary of Canadian Confederation in 2017 by establishing a dedicated national funding program for commemoration projects on the theme of reconciliation. The 150th anniversary of Canadian Confederation will undoubtedly hold Aboriginal consultation, involvement and participation. However, recommendation sixty-eight asks that one of the major themes beyond aboriginal historic and cultural representation should embody the theme of reconciliation. 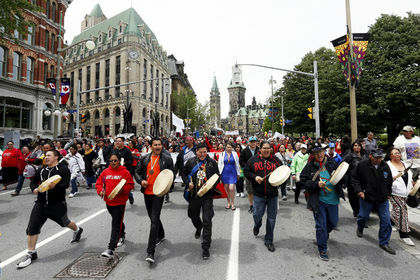 A funding program created by the federal government in collaboration with Aboriginal peoples and the Canadian Museum’s Association focused on the theme of reconciliation for the 150th anniversary would be a positive opportunity to solidify reconciliation on a national stage, marking and event that would not only celebrate the nations past but while acknowledging tragedy in a purposeful way, it would also mark steps in progress towards serious reconciliation. The Committee Report for Canada’s 150th Anniversary in 2017 on the Parliament of Canada website, as of right now has no mention of reconciliation as a theme on the agenda at all. There are a number of points where aboriginal history and culture are addressed but not in laments terms to tackle reconciliation specifically. One of the themes brought to light in the report touches on Canada’s future, “is it an opportunity to think about the Canada of tomorrow?” With this funding program and a real emphasis on the process of reconciliation and a serious commitment displayed through actions of this anniversary including collaboration with the CMA and Aboriginal peoples, this could potentially be a positive and impactful event in Canadian history. This is hugely important for all Canadian citizens, including Aboriginal people because the new Liberal government will have to further consult the public to gather a sense of how all Canadians should be represented and how. i. 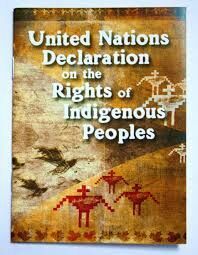 Fully adopt and implement the United Nations Declaration on the Rights of Indigenous Peoples and the United Nations Joinet-Orentlicher Peoples, as related to know the truth about what happened and why, with regard to human rights violations committed against them in residential schools. iii. Commit more resources to its public education material and programming on residential schools. This recommendation calls the Library and Archives of Canada to make records on residential schools and the human rights violations which occurred. Additionally, this recommendation calls for the institution to make these records more accessible, provide a greater degree of education on the data and how material on these topics can be researched and accessed. One of the most common challenges surrounding Archives especially is the lack of knowledge surrounding what Archives can be used for. More promotion of how Archives can be used in uncovering and education on Canadian history, particularly the original records from minority groups such as first nations groups are necessary in establishing these institutions as research tools. In 2012 Library and Archives Canada released a guide to the records of Indian and Inuit Affairs Program. 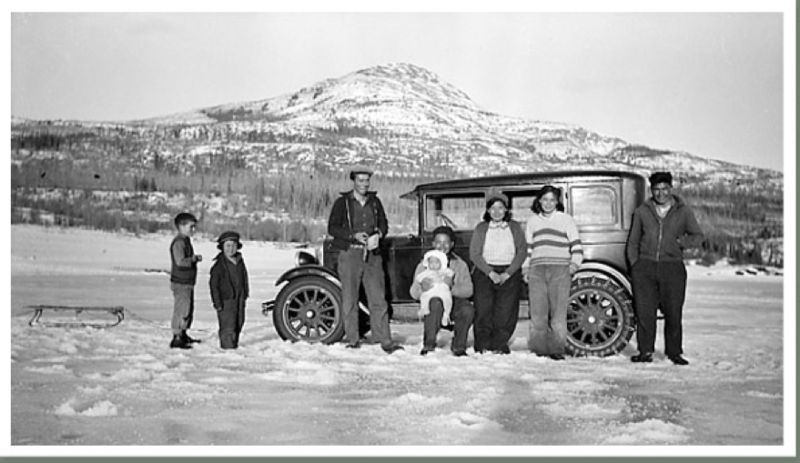 This is the link to the Library and Archives Canada page on the information and access to the records. The following sources provide readers with existing data and research on aboriginal residential school, the goal of this recommendation is to further establish this material to make it more accessible to the public in ways that are more easily understood and useful. i. Determine the level of compliance with the United Nations Declaration on the Rights of Indigenous People and the United Nations Joinet-Orentlicher Principles, as related to Aboriginal peoples’ inalienable right to know the truth about what happened and why, with regard to human rights violations committed against them in residential schools. This TRC call focuses on Archival practices and policies surrounding reconciliation and compliance with the United Nations Declaration on the Rights of Indigenous People as well as the United Nations Joinet-Orentlicher Principles. This recommendations calls upon the federal government to evaluate the role of the Canadian Association of Archivists and various Archives around Canada to meet a standard that established through collaborations with Aboriginal peoples. Further, any changes made to meet this standard would be subsidized by the federal government. The second portion of this recommendation calls for the creation of a report that would essentially grade Canadian Archives based on their implementation of international mechanisms to practice policies that will foster reconciliation. It is important for Archives to meet the standards of both the United Nations Declaration on the Rights of Indigenous Peoples and the United Nations Joinet-Orentlicher Principles in both their practices of processing records, the holding of records and marketing of these records so they be accessible to the public. The Aboriginal Archives Guide by the Association of Canadian Archivists is now outdated (2007) , though it contains information that continues to be valuable today. One of the greatest challenges of Aboriginal records in Archives across Canada continues due to the recording and holding of oral traditions. This guide discusses both written records as well as oral records. Because most written Aboriginal records are from the European perspective, perhaps there needs to be more national push for the collection and preservation of Aboriginal oral records in Archives across the country. There is a very slim chance that there will ever be an absolute number of the children who died at residential schools, whether it be due to poor documentation or destroyed documentation. Regardless, as means to provide the utmost justice and closure for families it is necessary for responsible government to establish such research. The atrocities committed to these children remain open wounds of their families; failing to provide such crucial data would cause the familiar perpetuation of aboriginal ignorance. In order for families to obtain closure for the gruesome and tragic losses, all existing records need to be provided to the Truth and Reconciliation Committee. This action will allow those who have lost members of their families to access information they have always wanted and needed to move forward. All information needs to be made accessible to the public as well. By creating such a register, Canadians will have the opportunity to become educated and enlighten others who don’t know of or understand the cultural genocide of the residential school legacy. If answered, this recommendation will allow Aboriginal communities to properly bury their family members in accordance with their cultural customs. The TRC has already established a project, “The Missing Children Project” to compile the names of children who died, how they died and where they were buried. This call would further such initiatives to provide a more accurate number of unaccounted aboriginal children murdered in the residential schools as well as foster meaningful relationships of solidarity within Canada. This call to action is necessary to make amends for the past treatment of Canada’s aboriginal school children. The scale of cultural genocide is not yet known and this recommendation is imperative to understand the effect colonialism had on the First Nations in the 20th century. This is important for all Canadians because it would show grieving aboriginal families that we care about their history, we care about the quality of their lives, and respect their cultural traditions. 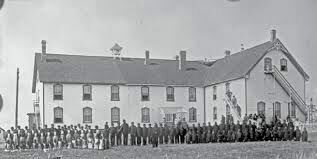 Residential schools had a horrendous impact on Aboriginal children as they were forced to be separated from their families in a brutal attempt to make them adapt to Euro-Christian Canadian society. The TRC states, “Child neglect was institutionalized, and the lack of supervision created situations where students were prey to sexual and physical abusers”. The severe abuse that happened at residential schools caused the number of deaths to stop being recorded by the government as children were dying at an alarming rate. 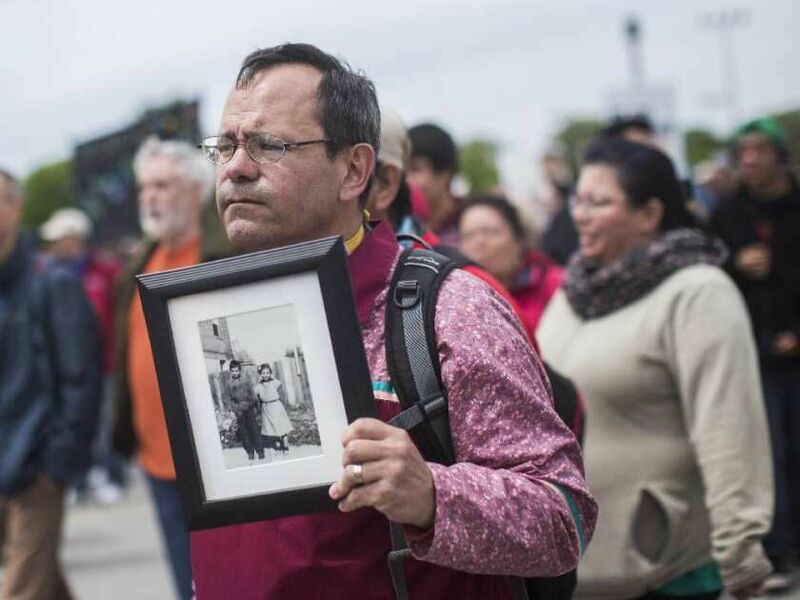 The impacts of residential schools can still be found across Canada today, as Indigenous communities search for closure, which can only be done by facing the wounds that were implemented by the racial profiling that so drastically occurred. 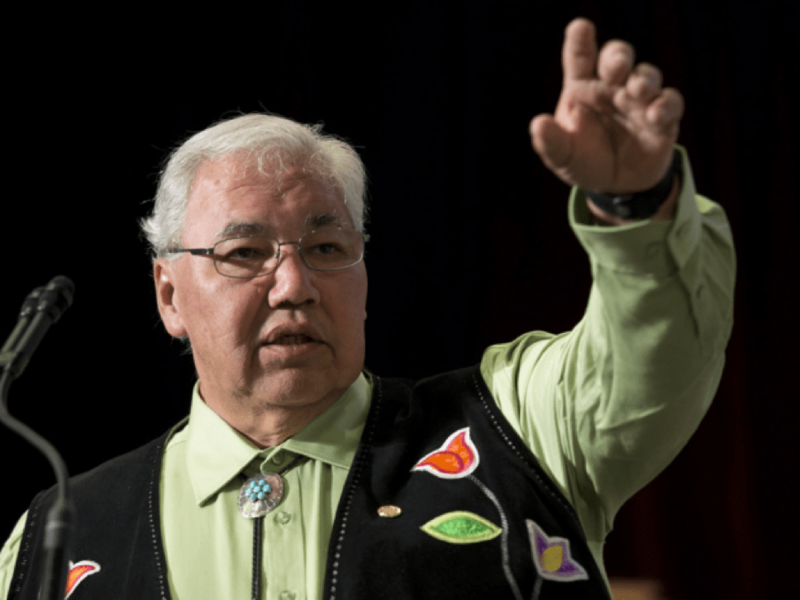 Justice Murray Sinclair, who heads the Truth and Reconciliation Commission, estimated that up to six thousand children died at residential schools, yet it is impossible to say with certain. The Star stated in an article titled, How many First Nations kids died in residential schools? Justice Murray Sinclair says Canada needs answers, “Schools were often crowded, poorly ventilated and unsanitary. Children died from smallpox, measles, influenza and tuberculosis. Some were buried in unmarked graves in school cemeteries, while others were listed as “missing” or “discharged.” In some cases, parents never found out what happened”. It can be understood that in order for reconciliation to take place, Canada must come together as a nation to pay respect to these innocent lives that were lost due to this dark part of history. It is vitally important that these children are remembered and honored by having appropriate memorial ceremonies and ensuring that their graves are marked and maintained. 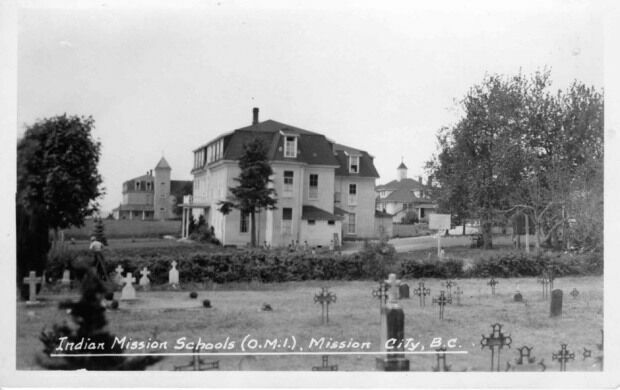 In order for residential school cemeteries to follow cultural practices and to respect the lives lost, it is highly important that the Aboriginal communities that were most affected shall lead the development of such strategies. Not only will this ensure proper cultural practices, it will also give community members a chance to heal through reconciliation. Also, by having information obtained from residential school survivors and knowledge keepers in the development of such strategies, it redresses the legacy of residential schools and helps in the process of reconciliation across Canada. In order for reconciliation to occur, an essential step is that the National Centre for Truth and Reconciliation obtain documents about records related to the history and legacy of residential schools. As there are so many individual stories that have unanswered questions remaining, it is very important that the government and community documents are acquired. This will give communities and individuals a chance to find truth about loved ones. Also, one of the main goals of the TRC is to provide documents relating to the severity of abuse that occurred at residential schools and how they have had a lasting impact on generations of Aboriginal people. By providing specific cases, it gives opens the door for further discussions about the impacts residential schools had on Indigenous individuals, families, communities and culture. The need for financial assistance from the Government of Canada for the National Centre for Truth and Reconciliation and to help communities in researching and producing histories of their residential school experiences in a very important part of reconciliation across Canada. This will ensure that the TRC is able to be properly funded and able to further research on the affects residential schools had on Indigenous people while helping safe-keep cultural beliefs and practices. It is very important that their stories do not go left untold, as so that history does not repeat itself. 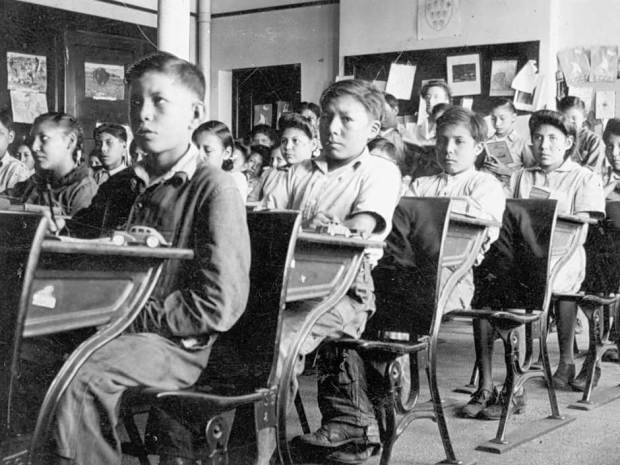 The affects of residential schools can be seen widespread throughout Indigenous communities. It has often been referred to as a ‘cultural genocide’ as it had horrendous impacts on Indigenous culture and practices as children were stripped from their native identities and forced into an institution that glorified abuse in the name of religion and order. However, it can be also be understood that Indigenous people have played a very prominent role in the development of Canada, from contributing to the war of 1812 as they helped protect British forces from invading Americans to fighting in the first world war. By implementing this recommendation, it would recognize the impact that Indigenous people have had in Canadian history while paying tribute to their culture. It is vital in order for reconciliation to occur that Canadians are able to see the value of Indigenous people in our heritage while celebrating their rich and diverse background nationally. This is such an important recommendation because a National holiday will allow Canadians across the country to be assaulted with information on the history of residential schools. The cultural genocide that occurred will become a household name and get people talking about it. 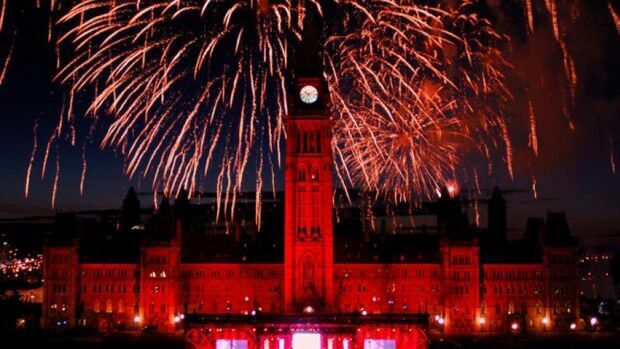 Canadians will be able to commemorate and pay respect for the grievances Canadian Aboriginals. This is a recommendation that is very easy to understand: build a monument to recognize the travesty which was the residential schools system—and don’t just put in the corner of a room where no one will see it. It should be front and centre where it can receive lots of attention. From a policy perspective, even though it is a very simple recommendation to understand, this is a very difficult recommendation to implement. Not only would it likely cost lots of money, it would require a great deal of collaboration between different groups concerning issues such as funding, artistic design, location, construction etc. Practically speaking, most of the initiative for this recommendation would have to come from the City of Ottawa (in terms of planning, location etc. 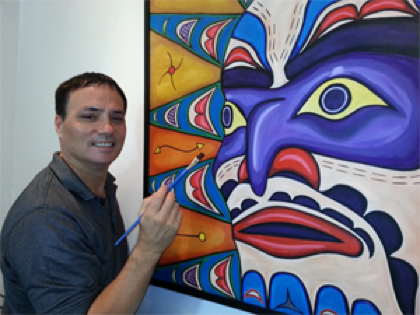 ), in negotiation with the federal government (funding) and Aboriginal groups (artistic design). A mandatory teaching of the history of residential schools should be put into place by the government to educate future generations about this piece of Canadian history that is often left out. A monument should be in place in each province and territory where many people will be able to visit and see it and gain an understanding of the dark part of Canada’s history. Aboriginal artists should be given the opportunity to design monuments and create ways of raising awareness through art. This recommendation would offer individuals, communities, and art lovers of the land and safe institution or setting to express themselves freely with open dialogue. Cultural mix that allows for understanding and growth for the youth and adults alike. One food for thought is having events that utilize the artistic works for charities or NGO’s that support human rights and reconciliation – such as ‘Habitat for humanity’. With their programs such as ‘Aboriginal housing program’ supporting safe and stable housing the program has served over 100 families with the support of CMHC. Assimilation is vital to harmony between both cultures and communities. This call for action seeks media converge increase in aboriginal exclusive stories and stories. Currently there are list of aboriginal radio stations and hosts that broadcast directly to aboriginal communities and reserves. Issues such as genuine exposure broadcasting to wider audiences are desired for greater understanding of all communities. In more recent news there have been failures of license renewal “On June 25, 2015, the CRTC denied the renewals, revoked their broadcast licenses, and ordered Voices Radio to cease broadcasting by July 25, 2015.” This was due to failures to broadcast a sufficient amount of local news content in each of its markets that reflects stories of interest to their respective aboriginal communities. We note that budget cuts have reduced the CBC‘s “capacity to provide Aboriginal programming”. It therefore calls for greater funding for the CBC. 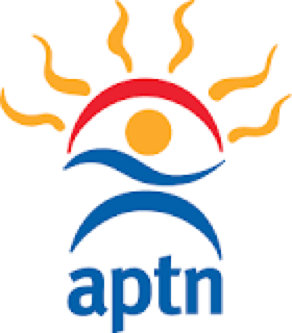 It also notes that the APTN “is well positioned to provide media leadership to support the reconciliation process.” A joint effort by both broadcasting stations would offer diverse language perspective of both journalist/broadcasting styles. The call would require aboriginal authors and historians that document the treaties and laws for students. University of Saskatchewan has implemented centers to promote strategies and solutions for legal issues and allowing financial and resources for those in the community and students of the school alike. Canada has a deep and continuing history in regards to athletics; all athletes should be recognized for their hard work and dedication but also the milestones in their careers. 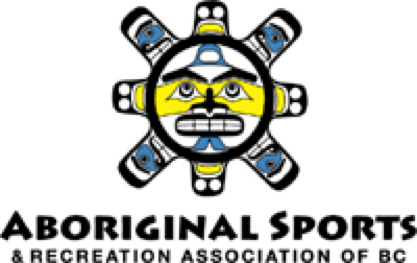 This call to action, asks for the commitment of all levels of government to be responsible in ensuring long-term Aboriginal athlete development and growth in involvement. 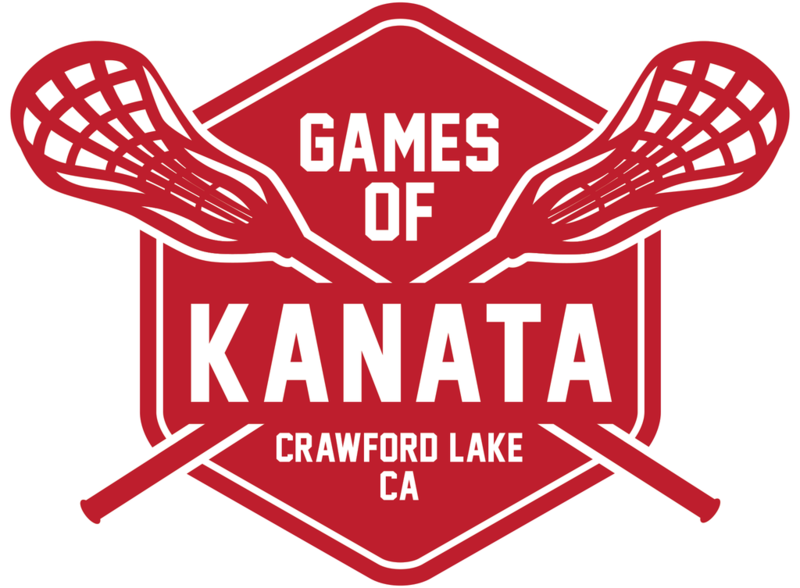 As well as continued support for the North American Indigenous Games, through increased funding for the games in order for provincial and territorial team preparation and travel costs. 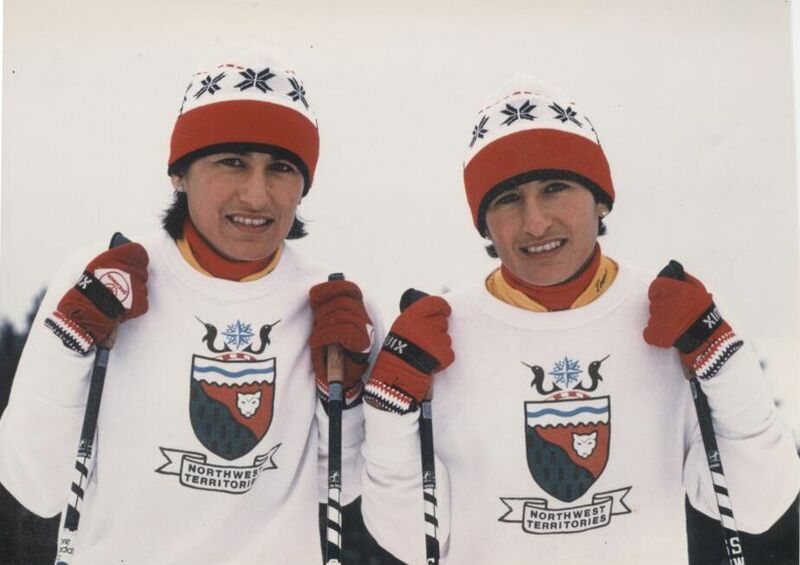 Most current updates on the North American Indigenous athletes, games and future growth. In order to be a truly multicultural country, we need to accept everyone including even people from Aboriginal descent. So to open up programs like the following, we need to include them immediately to create change and the government should implement the TRC recommendations. To understand this recommendation people need to know that many programs in indigenous communities are highly underfunded including those for sports. This is because the government give vary little funding for such things causing children in indigenous communities to lose out on the chance to play sports. This is important to all Canadians because we always talk about how all children deserve the chance to play sports and now if our government act on this recommendation then indigenous children will get to play as well. We call upon the officials and host countries of international sporting events such as the Olympics, Pan Am, and Commonwealth games to ensure that Indigenous peoples’ territorial protocols are respected, and local Indigenous communities are engaged in all aspects of planning and participating in such events. In order for this to happen the government would have to reach out to Indigenous communities and build a relationship with them. So as to welcome them to these sporting events. This would be done by the government acknowledging that they have been miss treating Indigenous communities and ignoring what goes on within them or as in regards to D^2 they need to stop turning a blind eye. This is important to all of Canada because if we want to build a better future for generations to come then we fully embrace who we are as a country and that means correcting the governments mistakes on how they treated indigenous peoples. Canada claims to be a multicultural country but how can we be when our own government refuses to work with indigenous peoples who lived on this land long before us? ii.Ensure that Aboriginal peoples have equitable access to jobs, training, and education opportunities in the corporate sector, and that Aboriginal communities gain long-term sustainable benefits from economic development projects. In a few words: The corporate sector must also respect Indigenous rights. Making sure all employees have an understanding of Indigenous history and culture, especially when working on development projects which take place on Indigenous territory. Currently, newcomers to Canada learn very little about the aboriginal people in their new country, and the Canadian citizenship test does not address Canadian aboriginals nearly as well as they should. Would you want to go to a new country and know next to nothing about a very significant part of its history? Immigrants are required to learn about many aspects of Canada’s history in order to pass the country’s citizenship test. However, the information given, and the test questions themselves seriously neglect to provide information on first nations, metis, and Inuit peoples. Think about why this matters. Take a minute and think about how you would feel if you played an important role of the history of your country, and things would be significantly different without your people’s presence, but no effort was made to inform new citizens of that important part of their new country’s past. Why does Canada neglect such a significant part of its history? This is a straightforward recommendation. All this recommendation is saying is that the citizenship oath, something at the heart of what it means to be a Canadian citizen, should include reference to the treaties which exist between many nations in Canada—Indigenous and non-Indigenous. 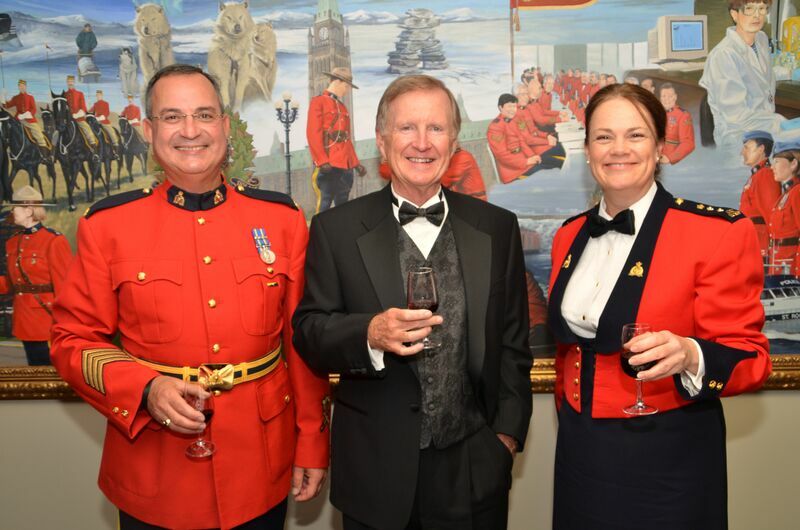 Canada is a nation that was founded on the principles of peaceful coexistence between nations. Like a Two-Row Wampum Belt, Indigenous and immigrant peoples from the beginning of Canadian history pledged to live together. It is only fitting that new citizens also pledge to uphold this relationship. From a policy perspective, this would be one of the easiest recommendations to implement, as all it would require is an amendment to the Citizenship Act. There would be no real shift of policy, nor would it involve any new spending. The only thing necessary is the political will to amend legislation. Individuals pressing their Members of Parliament to implement this (and other) recommendation(s) will help lead to its implementation.